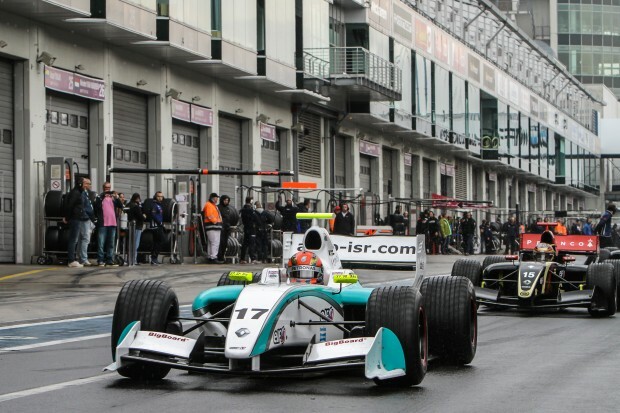 Jazeman Jaafar, Malaysia’s leading young racing driver, had mixed fortunes at the sixth round of the Formula Renault 3.5 Series in Germany this weekend. Racing at the famed Nurburgring circuit with ISR Racing, Jazeman finished fifteenth in the first race, but after fundamental changes to the car overnight, the young Malaysian was the second quickest car on pace, resulting in a strong ninth place finish in the second race. Thick fog covered the track on the first morning of running, delaying track activities and challenging Jazeman and his engineers to set the car up for changing grip levels throughout the day. During the two practice sessions the PETRONAS Talent Development driver had worked with his engineers to improve the handling of the car, but continued to struggle with lack of grip. The first qualifying session on Saturday morning was disappointing for Jazeman with the 21-year-old unable to show his potential, resulting in a tenth row grid slot for the first race. The race began in dry weather conditions and after a slow start, Jazeman settled into a consistent pace. In the closing stage a light sprinkling of rain changed to a heavy downpour and with most of the field on slick tyres, the challenge was to reach the chequered flag. Jazeman finally finished the race in 15th place. The team reviewed the car, data and feedback from Jazeman after the race and identifying a number of issues, major changes were implemented on the car, resulting in a much better performance on Sunday. The morning qualifying session on Sunday was wet, but Jazeman had a couple of good runs and was able to post 13th quickest lap for a seventh row grid place for the start of the second race. The rain abated for the start of the race and Jazeman got off the line cleanly and avoided the first corner clashes, which often feature at Nurburgring and moved up a position. He continued to improve as the race progressed, overtaking a few more cars and running as the second quickest car as he crossed the line in ninth place to score two valuable points in the Drivers’ Championship. The World Series by Renault takes a summer break for two months, with competition resuming in September in Hungary.